We get this question every day from our customers and prospects: "Should we switch to the HubSpot COS?" The simple answer is "yes," but that seldom suffices. 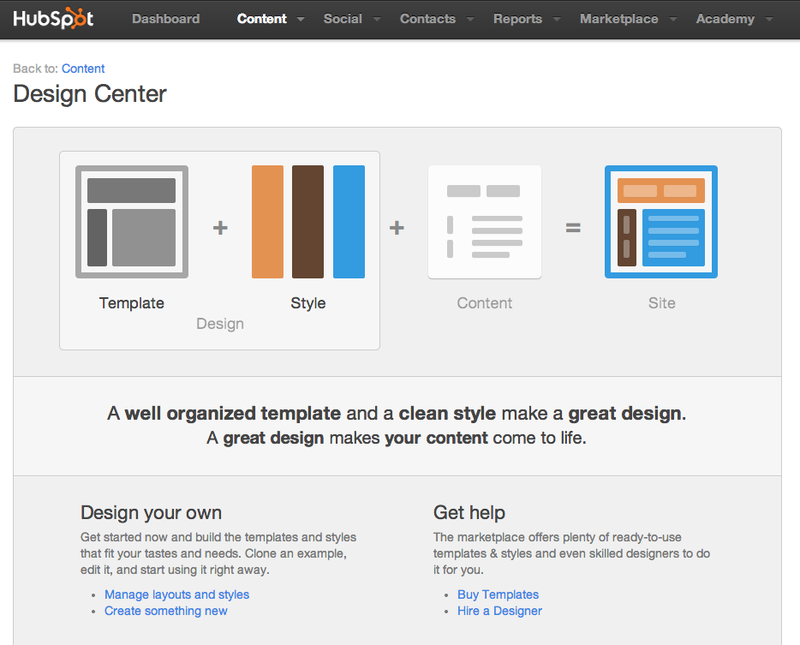 The HubSpot Content Optimization System (COS) was announced in a keynote by HubSpot Founders Brian Halligan and Dharmesh Shah at this year's Inbound 2013. In my view, it's much more than a content management system—it's nothing short of a revolution in turning your website into a marketing machine. Here are the top 5 reasons why your company should join the revolution today. I have probably forgotten a few highlights, but this list blows away any existing CMS or marketing automation system on the market today. Some of them are only available in the Professional and Enterprise levels (see Pricing), but if you are serious about digital marketing, you need to be at one of these levels. HubSpot has gone to great lengths to optimize the COS for both novice users and experts alike. The UI is laid out sensibly by function, and it's easy to access every feature. HubSpot is also proactive about easy-to-follow training in both live and recorded sessions in HubSpot Academy and the Marketing Library. The Certification program allows you to onboard your staff in an organized way and make sure employees are proficient in using the COS and inbound marketing in general. Most people don't ask me about transforming their website into a money-making venture, but they should. It's true the HubSpot COS is not cheap at the Pro and Enterprise levels. You should think of it as an investment, just like people, computers and Internet access. With the COS (and a carefully considered strategy and process), your team can build an efficient sales and marketing pipeline that generates new revenues and is accountable for growing sales year-over-year. Without the COS, you will need to spend a lot of time and manpower cobbling together diverse systems and figuring out how to accomplish the same mission. If this is your experience, you should ask your sales and marketing team how well things are going for them—and then ask them why sales are in decline. As your company grows, you need to think about how you will manage success. Your sales funnel will grow broader and deeper with inbound leads. How will you manage them, segment them, communicate with them and convert them into customers? How will you prevent your leads from leaking out of your funnel to your competitors? How will you enable your sales reps to know who to call, when to call and how to close your best prospects? As your database grows, how will you protect your investment against server crashes and unplanned downtime? The HubSpot COS addresses all of these issues directly. Can your Wordpress, Drupal or Joomla site do that? As a decision maker at your company, you need to ask the tough questions. We often hear, "If HubSpot fails, what happens to my website? Can I get a back-up of files to load on my server if HubSpot goes into Chapter 11?" Really? Check the facts. HubSpot is one of the fastest growing, most respected software companies in the world. They don't operate as a software vendor. They want to partner with your company in growing your revenues through inbound marketing. We've been with them since 2009, and we've built our own enterprise inbound marketing services around the HubSpot platform. Now we're transitioning our existing customers and new customers over to the HubSpot COS for one simple reason.